A new police uniform for all officers has been unveiled. 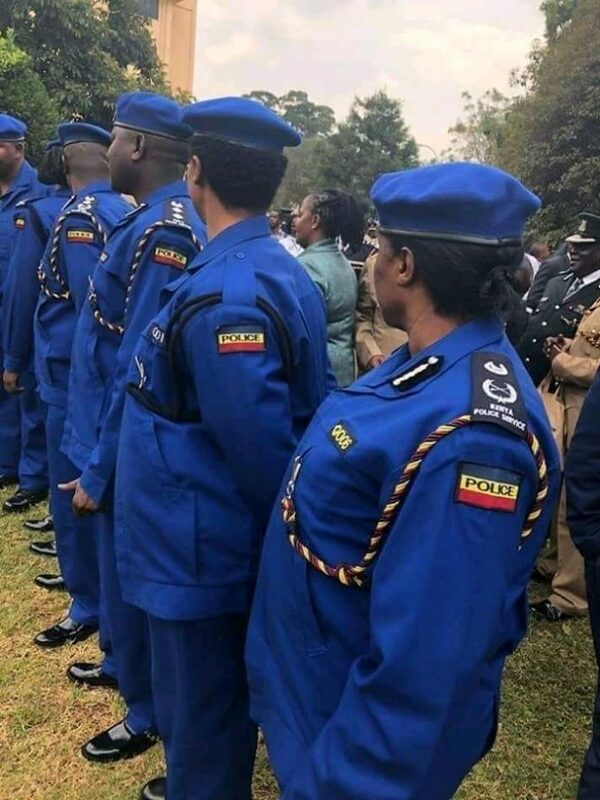 The new dark blue uniforms were unveiled by President Uhuru Kenyatta on Thursday where the police structure in Kenya was also re-organized. The unveiling was done at the Kenya School of Government. At the function, the posts of Administration Police regional commander, Kenya police regional commander, DCI regional commander and District administrations police commander were all abolished. Others that suffered the same fate were County coordinating commander, Kenya police county commander, AP county commander, DCI county commander, AP sub county commander, DCI sub county commander and AP service ward commander. According to The Star newspaper, the new outlay which will drastically change the command and structure of policing in the country with the AP getting clearly defined roles. The AP will be merged with the Anti-Stock Theft Unit (ASTU). Previous articleDid Equity, DTB copy each other’s responses to Sh. 145 million CBK fines?